The job hunting process can be long and stressful. You’ve crafted the perfect resume, sent out countless cover letters, and now you’ve finally heard back that you’ve got a phone interview. This should be a walk in the park, right? An obligatory step to confirm you’re a real human. Until you find yourself on the phone with the interviewer and they’re not just chatting you up. They’re asking you real questions, some of them tough questions, and your throat is going dry and you’re talking a million miles a minute and then it’s all over and you’re wondering what just happened. Did you blow your chances at another interview? 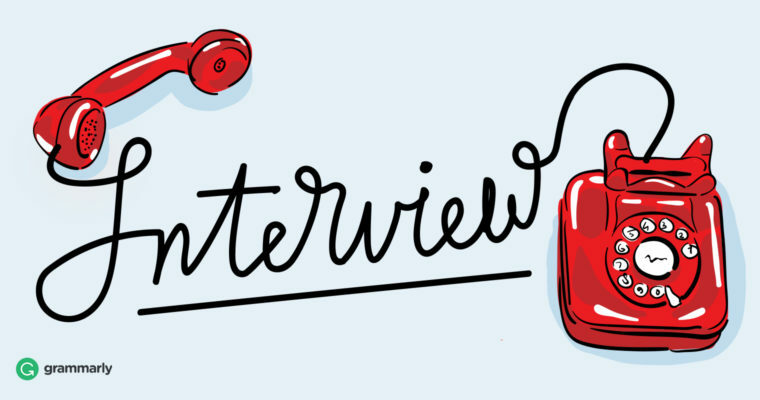 The phone interview is easy to underestimate. It doesn’t seem as intimidating as meeting in person, but if you don’t nail the phone interview you definitely won’t be asked to come for an on-site. To set you up for success, we’ve put together seven easy tips that will help you prepare for your phone interview and give you the best shot at advancing to the next round. Learn everything you can about the job. Review the job description with a fine-tooth comb and check for reviews on Glassdoor. By knowing the skills and qualities they want in a candidate, you’ll be able to craft answers for their interview questions that show you are exactly who they’re looking for. Now that you know what skills and qualities they’ll be asking about, start thinking through your work history and brainstorming which experiences will best illustrate what they want. So when you’re asked, “Do you work well under pressure?” you won’t just say “yes”—you’ll also recount the story of your company’s product launch from hell and describe how you managed to stay calm, come up with a successful plan B for your team, and crank out quality copy at the last minute. Outline each success story, then practice telling them to a friend (ideally in thirty seconds or less per story). Make sure each success story you provide not only answers the question, but demonstrates the skills and qualities the company is looking for. Here’s a tip: Don’t try to pretend you’re perfect! Talk about how you’ve dealt with your weakness. Tell a success story of how you’ve overcome it! Here’s a tip: Don’t just say you’re organized. Recount a work situation where time management was important and you were able to nail it. Avoid brain fog by getting a good night’s sleep. Ditch the jammies and dress in business casual (it’s all about mindset!). Call a friend so you can warm up your vocal chords and get in phone mode. Remove any distractions (TVs off, pets absent, kids occupied). Be ready five to ten minutes in advance so you won’t feel rushed. Have a glass of water handy. Have a copy of your resume. Have a cheat sheet of the qualities they’re looking for and your success stories. Have a pen and paper available to take notes. Remember to breathe, listen, and smile. These questions communicate that you’re serious about the position and you want to confirm whether the company’s a good fit for you. Practice courtesy and professionalism. Within twenty-four hours, follow up with the interviewer by sending a thank you note via email. Thank them for the opportunity to interview, express your continued interest, and reiterate how you would be a great fit for the position.